"Voice of America" Introduction from Rick Moulton on Vimeo. 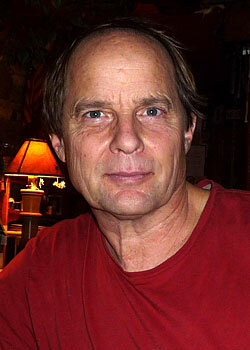 Rick Moulton has been an independent filmmaker since 1972. His career began in the 1960s with the making of Freeform and Oceans, surf movies made in Hawaii and California. He came back east with his wife Melinda and worked for Vermont Public Television in the 1970s. As an independent filmmaker in the early 80s, his film Legends of American Skiing won the Baniff Mountain Film Festival and was nationally released on PBS. Rick has produced numerous productions for the ski industry. Other clients include IBM, The Orton Foundation, and NBC. Rick has extensive archival experience, setting up the Care Collection for the New York Public Library, a film archive for the National Ski Hall of Fame, and most recently working with the Lowell Thomas collection. Recipient, 2017 The Jerry in recognition of Ski Sentinels and Thrills and Spills in the North Country. Awarded in Stowe by the National Ski & Snowboard Film Institute under the auspices of the US Ski Hall of Fame. Recipient, 2011 The Jerry in recognition of Legends of American Skiing as one of the best ski films ever made. Awarded in Sun Valley by the National Ski & Snowboard Film Institute under the auspices of the US Ski Hall of Fame.